A crown. England, 1420. This badge possibly symbolized the cult of the St.Edward the Confessor, buried in Westminster Abbey. From the book "Pilgrim Souvenirs and Secular Badges. "Badges were used by medieval pilgrims as souvenirs from the holy places which they had attended, as tangible proves of attendance such a holy place. Each place of cult had it's own badges so seeing a pilgrim wearing certain badges one could name the places which this pilgrim had visited. 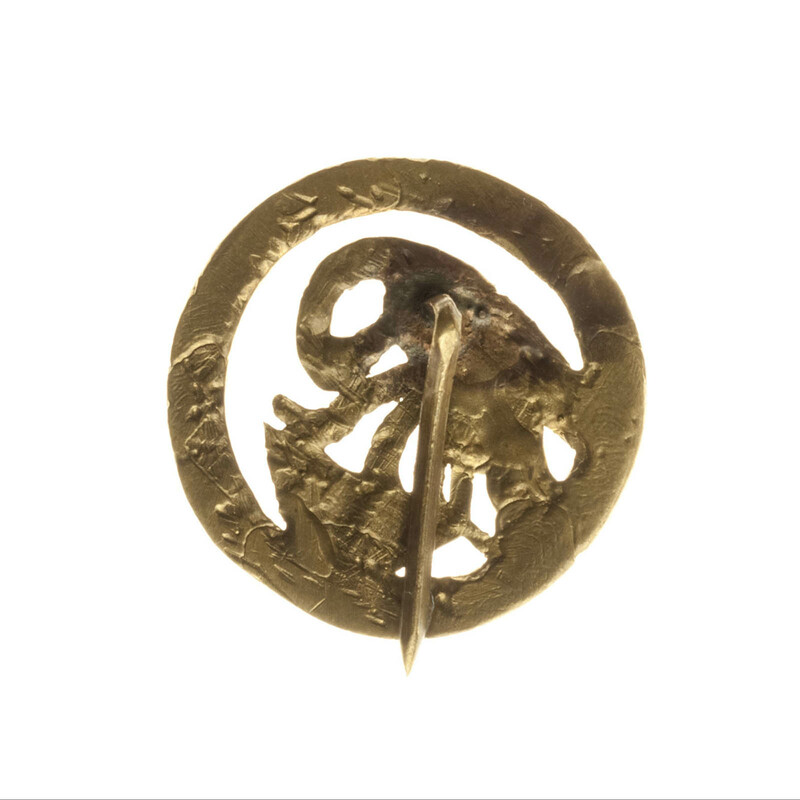 Also, so called secular badges existed which could belong to an authority or a noble who gave these badges to his/her courtiers, srevants, supporters and so on. Badges commemorating a major event existed, too. Size 35 x 32 mm Important: Most cast items are not in stock and will be produced exactly for you in 10 days term. Gilted Items could be in production up to 20 days. ..
Oak leaves and Acorn. This badge probably belonged to FitzAlan Earls of Arundel, the lstter being possibly the oldest extant title in the Peerage of England.Badges were used by medieval pilgrims as souvenirs from the holy places which they had attended, as tangible proves of attendance such a holy place. Each place of cult had it's own badges so seeing a pilgrim wearing certain badges one could name the places which this pilgrim had visited. 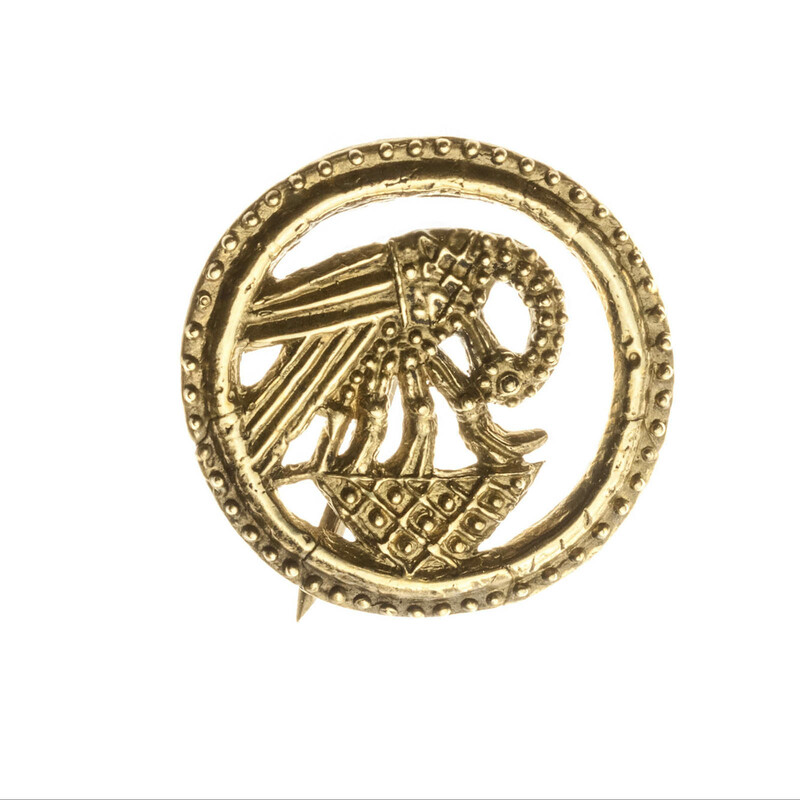 Also, so called secular badges existed which could belong to an authority or a noble who gave these badges to his/her courtiers, srevants, supporters and so on. Badges commemorating a major event existed, too. Size 35 x 30 mm Important: Most cast items are not in stock and will be produced exactly for you in 10 days term. Gilted Items could be in production up to 20 days. .. Custom pilgrim secular "Crusifix" badge..